Verrucas are caused by a highly contagious virus. They are often mistaken for corns and can be very painful. Surface of the skin is rough or granular and irregular in shape. One or more may occur at a time, with tiny brown/black spots in them. Most commonly occur on the sole of the foot, in areas of pressure and between the toes. Virus enters through damaged skin. Walking barefoot on damp floors is the most common method of infection. 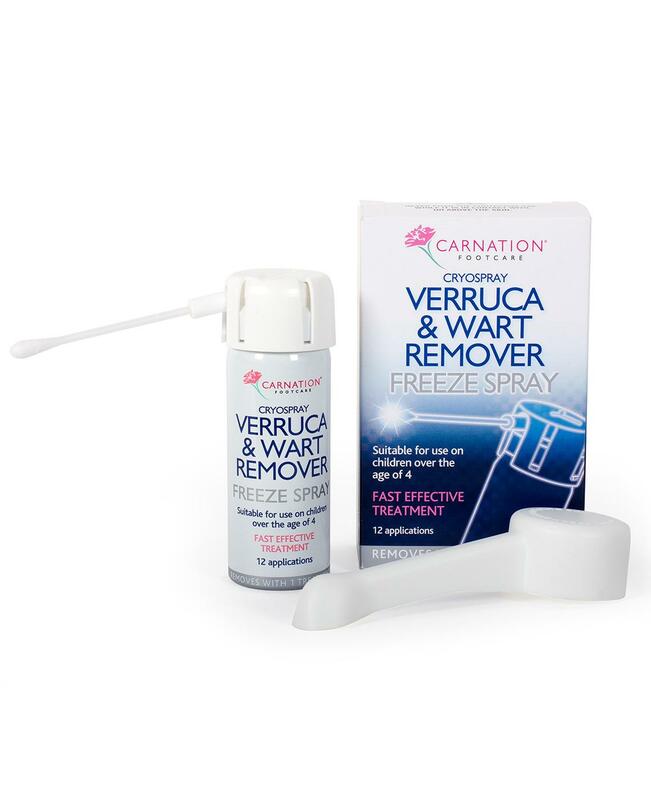 Carnation Cryospray Verruca & Wart Remover Freeze Spray available in 50ml cans with 12 disposable cotton wool applicators. Works rapidly by freezing the verruca or wart. 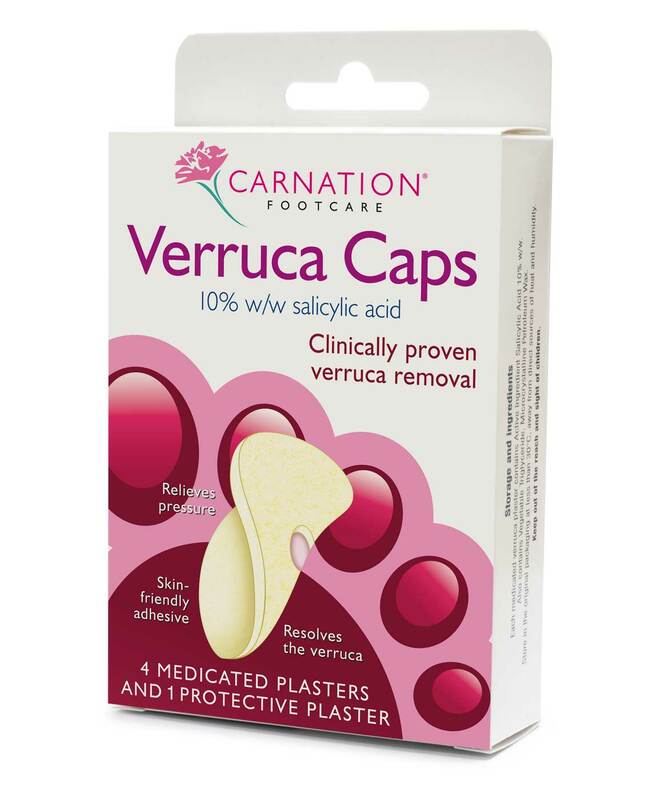 Carnation Verruca Care available in packs of 4 medicated plasters and 1 protective plaster. Padding relieves the pressure whilst the unique salicylic acid paste helps remove the verruca.